How to save space and cull clutter, no matter what size your kitchen is. Some people can live with a messy home office or a disorganized bedroom closet. But the kitchen is different. We all have to eat, and if the kitchen is a mess, it can have a real impact on how much you’re willing to cook — and how much you enjoy it. 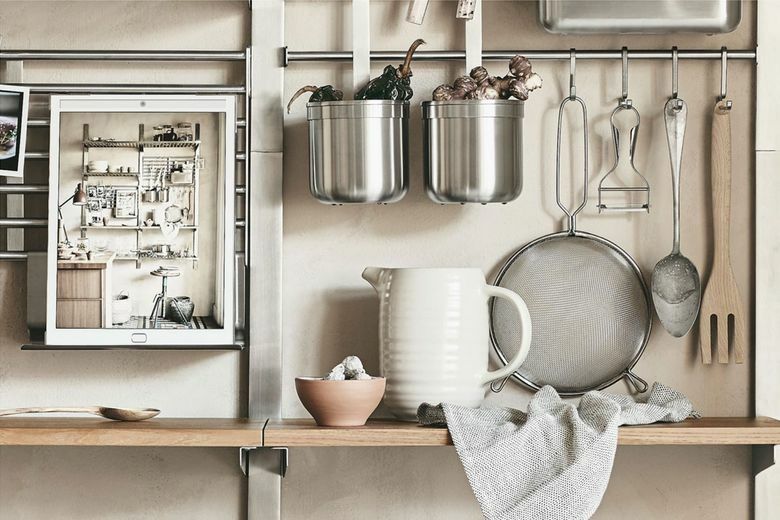 Here, kitchen-organization expert Katherine DiGiovanni, of Refine Home Concepts, offers recommendations for maximizing your storage space and making your kitchen work for you. 1. Take stock and cull the clutter. First, take a complete inventory of your kitchen. Pull everything out of the cabinets and drawers and put back only the things you need and use. 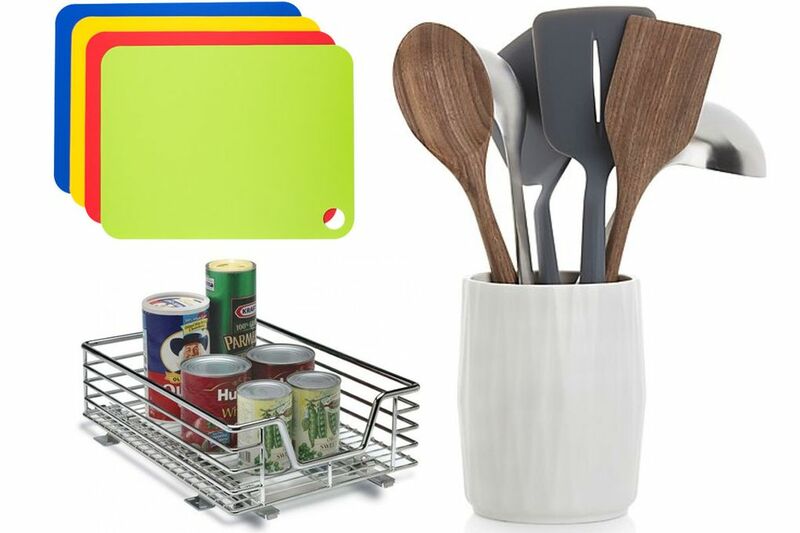 Store the items you use daily within reach of the sink and dishwasher. 2. Invest in some kitchen helpers. Make things easier to see and grab in your upper cabinets with a riser or a lazy Susan. And don’t be afraid to adjust your shelf placement to make things easier to reach. Install pullout drawers in cabinets to maximize storage space — and to ensure food stored at the back of a deep cabinet isn’t forgotten. Clear bins help corral similar items, and are great for keeping bags of rice, pasta, chips and cookies upright. Consider hanging your most frequently used pots and pans from a pot rack. Pot racks come in two varieties — wall-mounted and ceiling-mounted — and can help free up a lot of real estate in your cabinets. Look for versatile organizational products such as Mason jars or stackable, clear plastic containers. They keep dry goods fresh, and can double as décor if they need to sit out on a counter. Drawer dividers can be used in shallow drawers to make measuring spoons, gadgets and knives easy to find and put away. Countertops, free of clutter, are utilitarian and aesthetically pleasing. Don’t store rarely used appliances on the counter just because they seem difficult to put away. The items that stay on your countertop should be those that you use frequently, such as a toaster or coffeemaker. 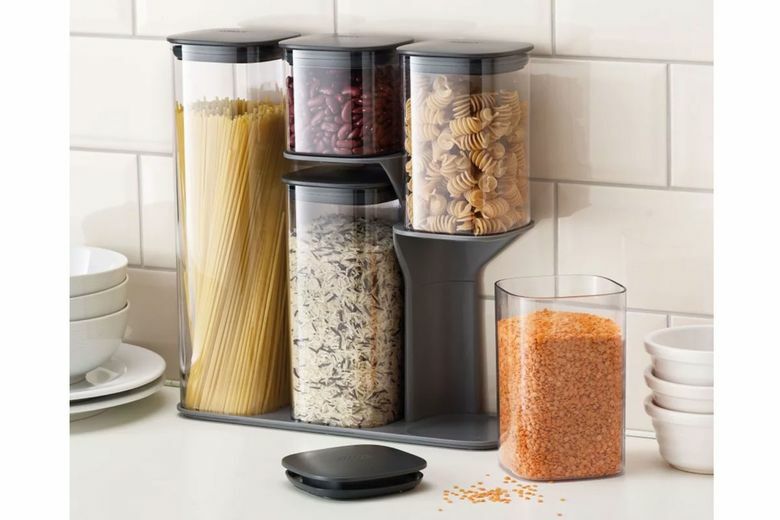 If you’re short on drawer space, use one countertop canister for the six utensils you use most often. And be sure to make use of wall space. Knives, for example, can be stored on a magnetic strip attached to the wall. Magnetic strips can also hold small containers of spices, saving valuable cabinet or drawer space. And what to do with those large cutting boards? Try leaning one upright against your backsplash. The wood will create a little warmth in an otherwise stark kitchen and will be easy to access when you need it. You can also place it on top of the refrigerator, where it’s out of sight but still easy to grab. Hang smaller plastic cutting boards on a hook for a fun splash of color, or slide them underneath dish towels or potholders in a drawer.